Mary Anton Kokenos. Age 94. Beloved wife of the late Francis. Loving mother of James (the late Vada) Kokenos and Pauline (William) Hull. Devoted grandmother Michael Hull, Danae Kokenos and Amy (Chris) Vosler. Great-grandmother of Charlie and Jake. Dear aunt of many nieces and nephews. 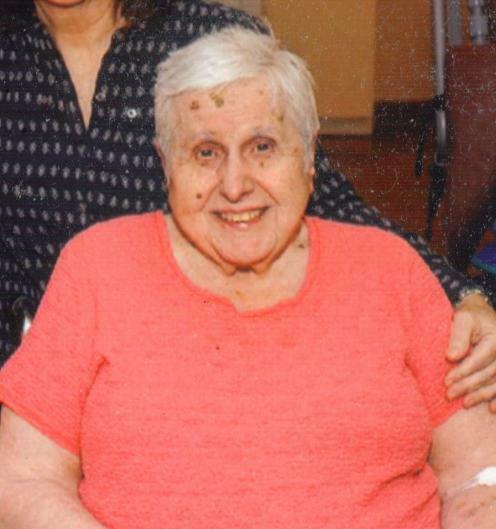 Visitation Friday, February 8, 9:30 a.m. until time of service, 10:30 a.m., at St. John the Baptist Greek Orthodox Church, 2350 E. Dempster St., Des Plaines, IL 60016. Interment Memory Gardens Cemetery. In lieu of flowers, memorials to St. John The Baptist Greek Orthodox Church are appreciated.